We see so many pictures of Owls were they look so wise. 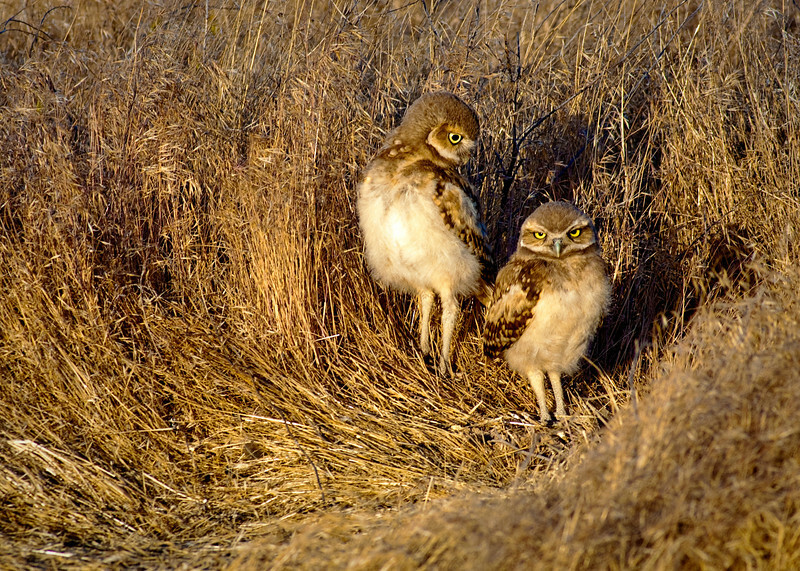 These are a couple of burrowing owls that are youngsters, I like to think of them as brother and sister. Once is certainly dissatisfied with the other. While the other looks like they just one a battle. So much personality. Shortly after this was taken one of them flew away. I guess they were not able to settle their differences.